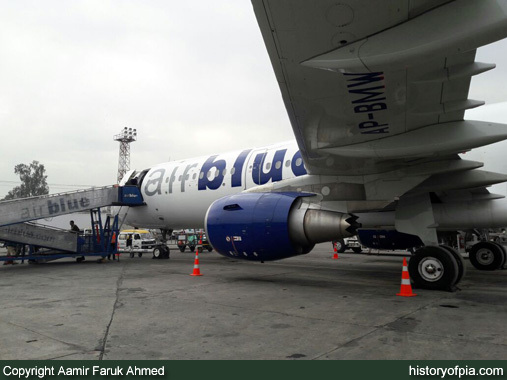 airblue Islamabad to Karachi flight PA-201 performed by airline's Airbus A320-214 registration AP-EDA on January 29, 2017 - Photos by Aamir Faruk Ahmed. 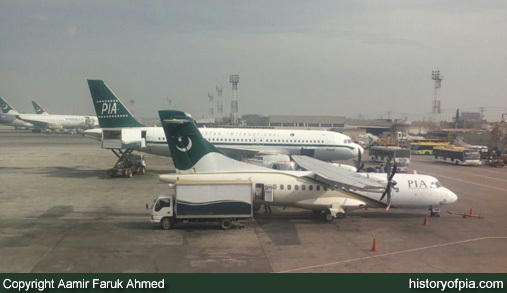 PIA ATR 42-500 and Airbus A320. 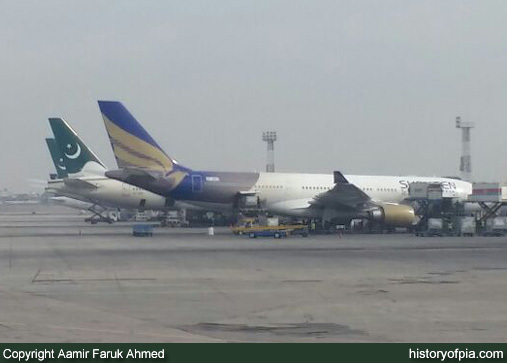 Shaheen Air Airbus A330-200 and PIA Boeing 777s. 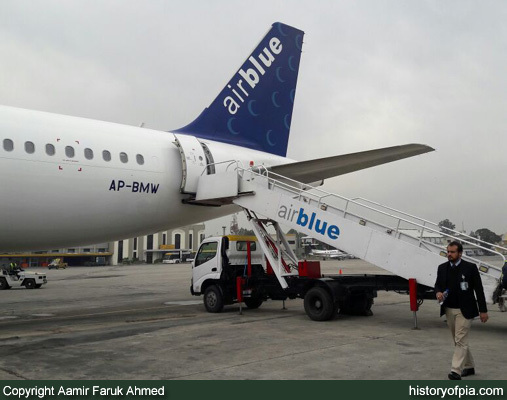 airblue Airbus A321-211 registration AP-BMW being prepared to perform Islamabad to Dubai flight PA-210. 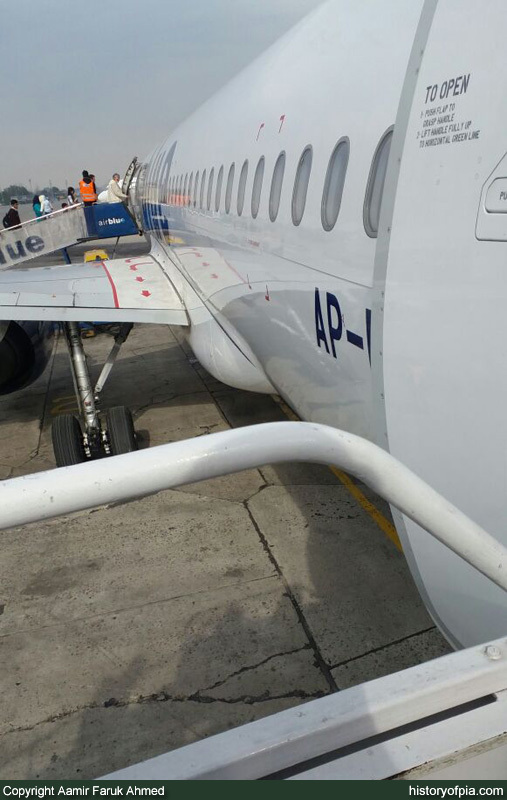 Passengers boarding airblue Islamabad to Karachi flight PA-201 performed by airline's Airbus A320-214 registration AP-EDA. 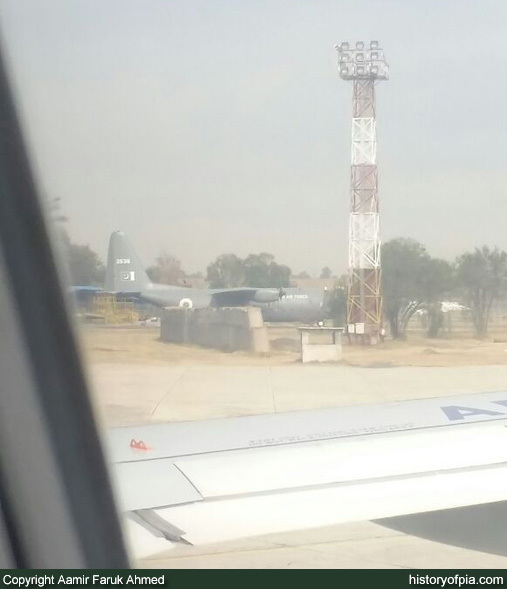 Pakistan Air Force (PAF) Lockheed C-130 Hercules seen from cabin window of airblue Airbus A320 (AP-EDA). 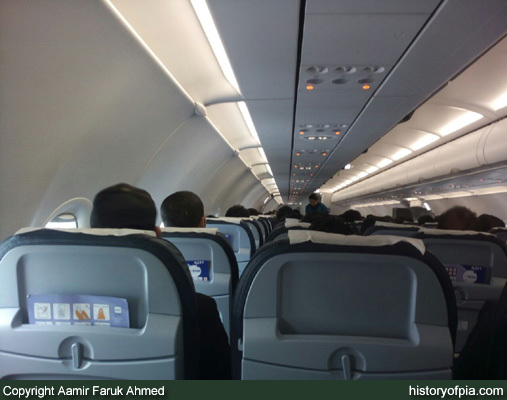 airblue Airbus A320 (AP-EDA) passenger cabin. 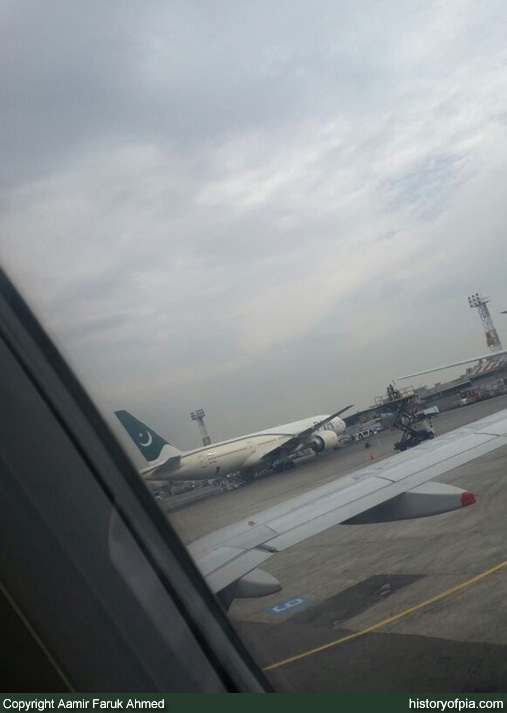 A PIA Boeing 777 seen from cabin window of airblue Airbus A320 (AP-EDA). 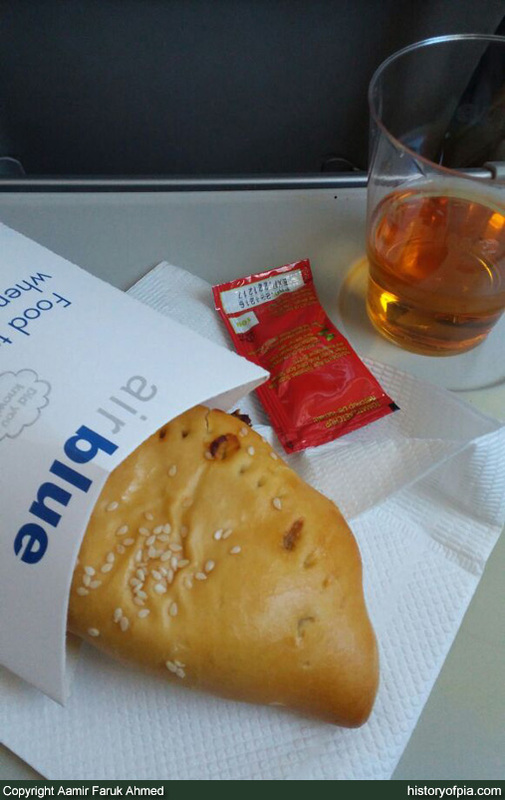 Meal service aboard airblue Islamabad to Karachi flight PA-201. 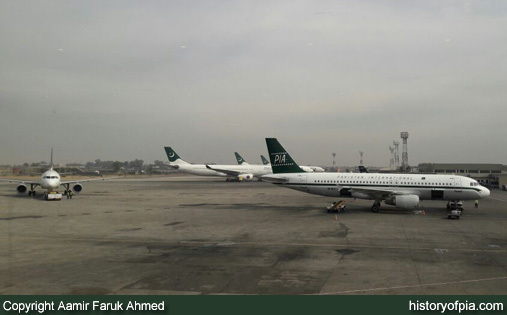 Thank you Aamir for sharing!